Our English School in Brighton, which is accredited by the British Council, is located only a short walk away from our residence, the town center and the beach. The GEOS English School in Brighton is housed in an attractive Edwardian building with a good sized patio garden, as well as, a spacious common room offering free internet access. 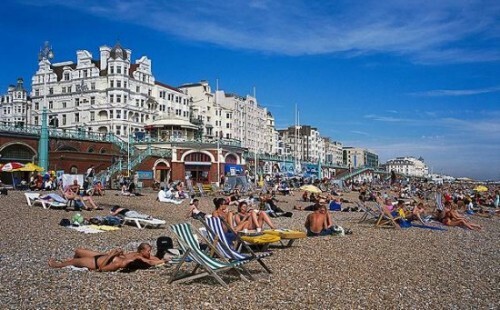 Brighton was originally a fishing village before it was colonized by the royals and the aristocracy. The fishermen lived in winding lanes, which have become known as `The Lanes’ today. 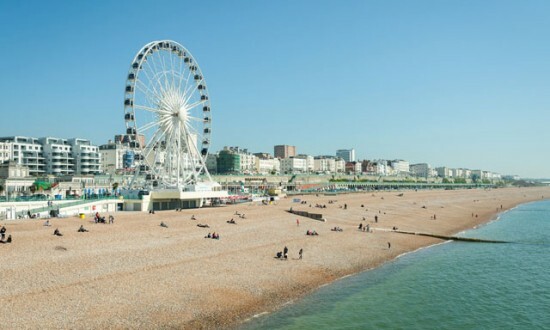 Brighton offers cozy pubs, antique shops, book shops and cafés at every corner. 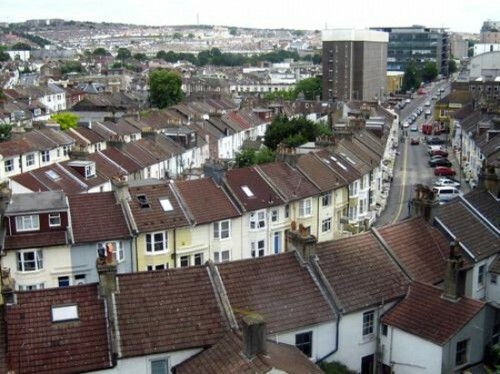 Brighton is a city that has grown over the centuries, it is still very young and a popular university city. 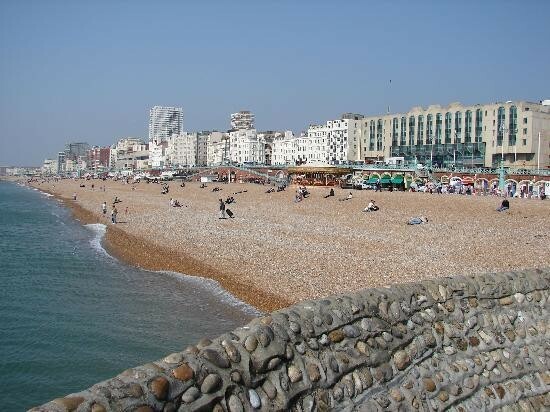 Learn more about this amazing city by participating in English Courses in Brighton! The Intensive English Course in Brighton is communicative based with an emphasis on developing speaking and listening skills. Our Intensive English Course in St. Julians is designed to help ESL students improve both spoken and written English. The Intensive English Course in St. Julians features a comprehensive curriculum of integrated skills - grammar, vocabulary & idioms, speaking & listening, and reading & writing. Our Intensive English Course in Brighton meets five days per week, for a total of 30 educational lessons each week. Students work with two different teachers (one for the morning class and one for the afternoon class) and the most up-to-date, effective textbooks and materials available. The Standard English Course in Brighton is communicative based with an emphasis on developing speaking and listening skills. Our Standard English Course in Brighton is designed to help ESL students improve both spoken and written English. With six levels of study, the Semi-Intensive English Course in Brighton features a comprehensive curriculum of integrated skills - grammar, vocabulary & idioms, speaking & listening, and reading & writing. Our Standard English Course in Brighton meets five days per week, for a total of 20 lessons each week. Students work with two different teachers and the most up-to-date, effective textbooks and materials available. GEOS offers a Part Time Morning English Course in Brighton for those students wishing to learn English in their free time. During the morning the students will partake in an English Course and after that they will have the rest of the day to explore the city, work, study, or relax. GEOS offers a Part Time Afternoon English Course in Brighton for those students wishing to learn English in their free time. During the afternoon the students will join an English Course where they will participate in the active listening portion of the class. The GEOS Cambridge Exam Preparation Course in Brighton has been updated to help international students who are preparing to take the Cambridge Exam. This comprehensive Cambridge Exam Preparation Course in Brighton helps students prepare for all sections of the exam by developing special skills and strategies that lead to more efficient test taking. 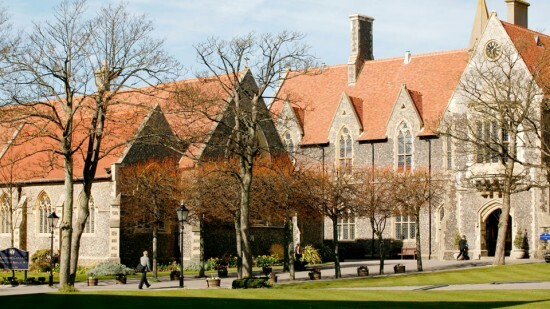 A Cambridge Exam Preparation Course in Brighton can help you reach your goals. With a maximum of 14 students, you are sure to get the extra attention you need to succeed. SC-GEOS has decades of experience and we’ve helped thousands of international students reach their educational goals!! For students who want to study English with a teacher by themselves and/or they want to study a very specific topic or language, Private Lessons in Brighton may be an option to consider. Appropriate for speakers of any English level, students can choose their own course content and their own textbooks. Private Lessons in Brighton are perfect for people who are shy and wish to study intensively alone, or for people who wish to study a specific subject or topic. 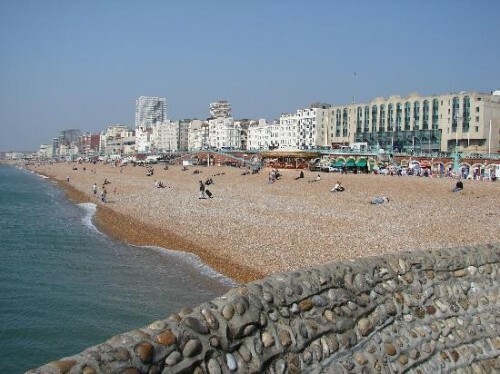 The Junior English Courses in Brighton are located in the city that was chosen by the British Royal Family as its official summer residence during the 18th Century. Along with the Royal Family came the aristocracy and the so-called “moneyed” classes of England's society. Since then, Brighton became associated with glamour and sophistication, and is still very much regarded as a fashionable place to live in or visit. Young students can reach all of their English language goals with the comprehensive curriculum, communicative methodology, and experienced teachers of our Junior Language Courses in Brighton. We can accommodate both short-term programs and long-term studies, and students of all English levels. The English for Work Course in Brighton is designed to prepare students to use English in a present or future work situation. Students will develop English skills with a focus on business contexts and environments, and they will learn vocabulary that is used regularly in the business world. The English for Work Course in Brighton will help practice and enrich communication skills by using English in specific business settings and situations. GEOS Languages PLUS understands how vital of a role accommodations play in the students’ study abroad experience. As such, the GEOS Languages PLUS school in Brighton offers a variety of accommodation options so that students will have the most memorable and enjoyable stay possible.